Nebraska had a good visitor list this weekend for a game that was an 11 a.m. kickoff against what was supposed to be a sleepy opponent in Northern Illinois. The Huskers hosted three official visitors and had a few of their 2018 commits as well as a big 2019 unofficial visitor on campus. All three official visitors scheduled to be on campus made it and all enjoyed their visits. 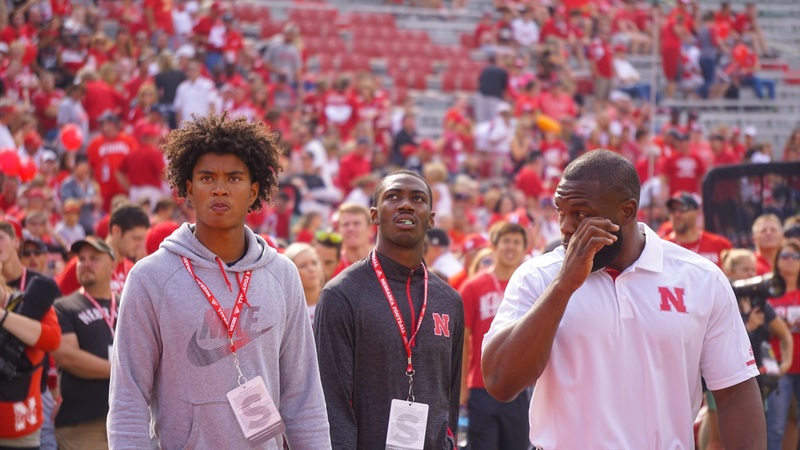 A pair of 4-star teammates, athlete Bryan Addison‍ and wide receiver Kobe Smith‍ took in the game this weekend. Speaking to people close to both of them, the pitch by Nebraska is pretty simple. We need you to come in and make an immediate impact. This was the most exposure Addison had had to Nebraska and he came away impressed by what he saw. Smith had long had Nebraska as a school on his radar and the visit reinforced what he thought coming into the weekend. Smith has the type of size (6-2, 174) that Nebraska currently lacks in its wide receiver room. He is a great route-runner for his age and has good hands, consistently catching the ball with his hands not his body. Three-star linebacker David Alston‍ was the third official visitor this weekend and made it to the stadium just as the game was kicking off. More to come with him later but the early word is that he enjoyed his return trip to Lincoln and both his parents were impressed with the academics and life skills program at Nebraska. Alston is tailor-made for Nebraska's 3-4 and like his coach told me last week, he has the versatility and athleticism to play multiple positions. Four-star offensive tackle Will Putnam‍, a 2019 prospect, made it to campus this weekend and he had a great time. He was excited to show his dad, Neil, the campus and what made Will like Nebraska so much. Don't be surprised to see Putnam back on campus again this spring. One thing I have been asked a lot over the weekend is how a stunning loss or any loss affects recruiting visits. The answer is that it depends. A lot of top-flight prospects view these losses as an opportunity to come in and play quickly because the team clearly needs help. For them, the relationships with the coaches outweigh what the current product on the field is. For others, it matters a great deal and they want to be able to envision themselves in big games and winning them like USC or Clemson did this weekend. The bigger concern for Nebraska as it relates to prospects or commits is the talk of firing coaches. That will make your targets nervous because they've built a bond with this staff. So far for Nebraska, its most vocal pro-Nebraska commit is not having any of the noise around the program.